Tokyo has no shortage of unique and unusual accommodations, especially with new, creative spaces popping up every year. 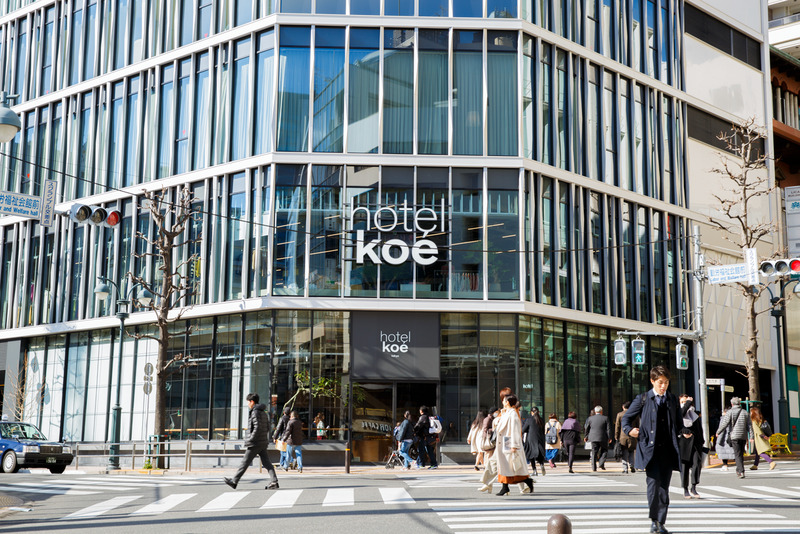 However, unless you know where to look, hotel hunting in Tokyo can be a stressful task. If you enjoy spending a little down time at your accommodation during your travels, these spots are worth a look. Each venue boasts unique features that you won't find at your average hotel — think Hello Kitty-themed rooms, Finnish saunas and a robot concierge. No one will be surprised that you'll prefer to stay in at these venues instead of going out and exploring the city. So what would be your pick? 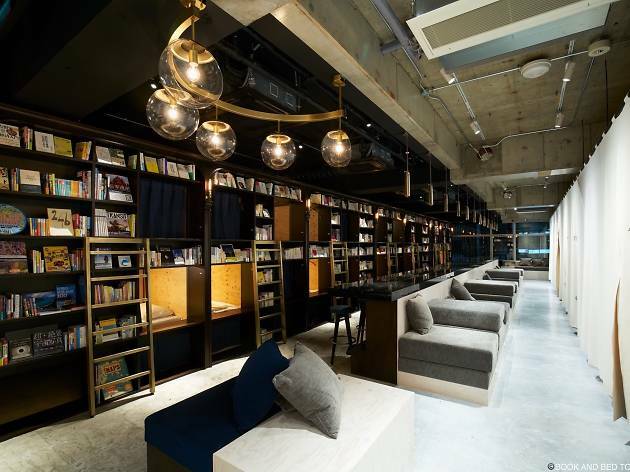 Forget bed and breakfast, Japan has invented a new style of B’n’B (‘Book and Bed’) and it’s every bibliophile’s dream come true. 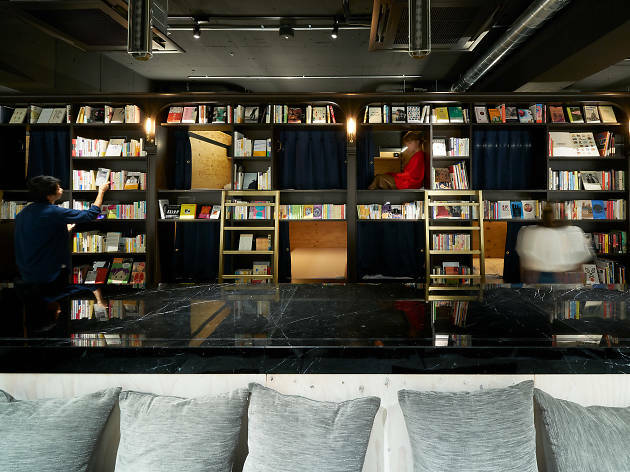 The hostel calls itself an ‘accommodation bookshop’, and they cheekily claim that the quality of the books on offer means they cannot guarantee a good night’s sleep, as you may be up all night reading. 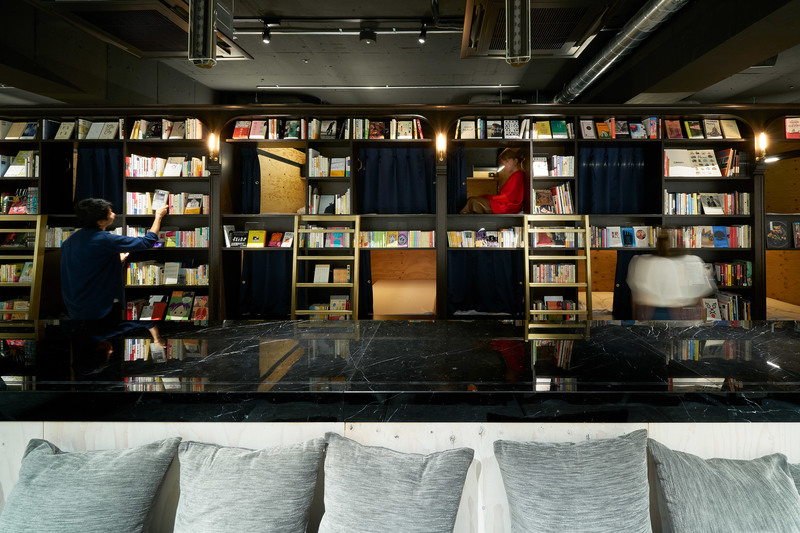 Aside from having access to shelves and shelves of books all free to borrow for the duration of your stay, Book and Bed patrons can pick between three accommodation options – Compact, Standard and Double – while toilets and showers are shared facilities. There’s also a bar on site, and w-fi is free – not that you’d dream of putting down your book to pick up a laptop. Their first outlet in Ikebukuro has become so wildly popular that they have branched out to Asakusa in Tokyo, as well as Fukuoka and Kyoto. 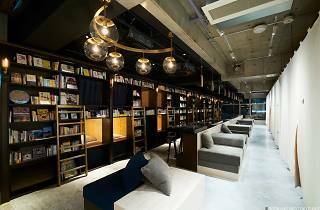 A night’s stay starts from ¥3,800, but if all you want is to relax with a good read, come during the day and use the facility for ¥500 per hour. Better yet, you can stay from 1pm to 5pm for a flat rate of only ¥1,500. 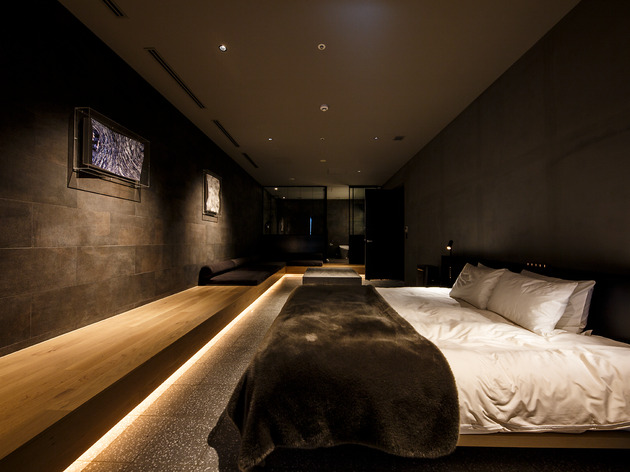 Sauna and sleep are the two main features at this new design-driven hotel. While capsule hotels are common in Tokyo, °C has created a new, updated version featuring a clean, modern design inspired by Finnish sauna culture. 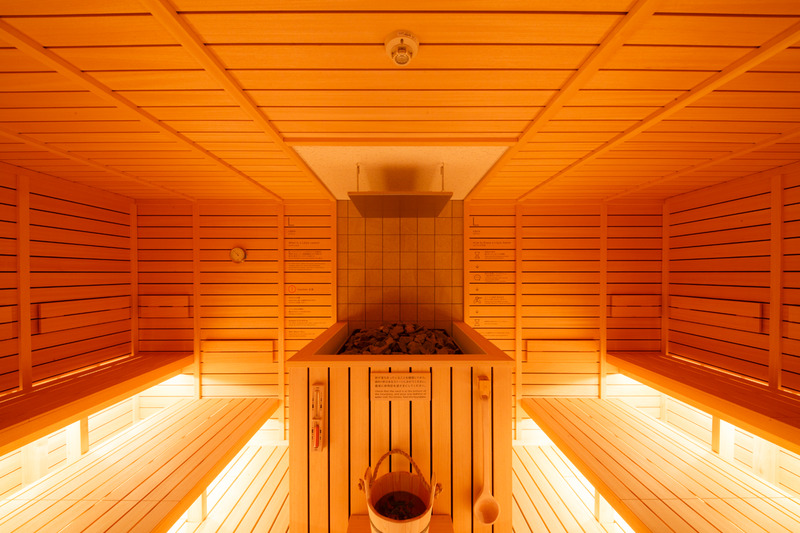 The hostel’s steam room is a standout among the city’s many sento (bathhouses). 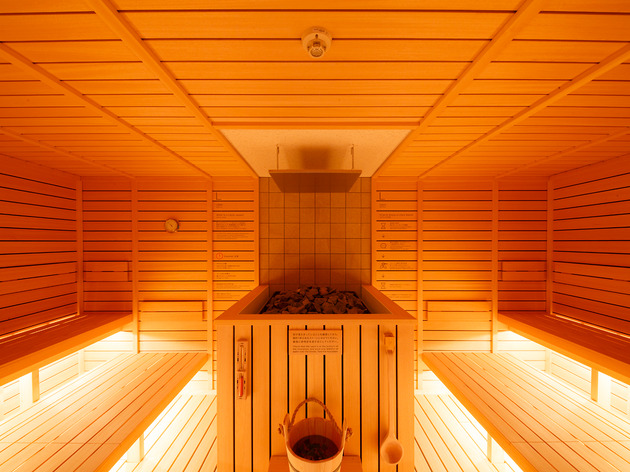 Here, you pour mint-scented water onto hot sauna rocks to create more humidity that will encourage sweating, before cooling down in one of the showers rooms, each of which is set to a different water temperature. Just when it was starting to feel that Tokyo ryokan (traditional inns) were on the verge of extinction, along came a major new player bringing the classic bed and breakfast (and sometimes also bath) experience bang up to date. 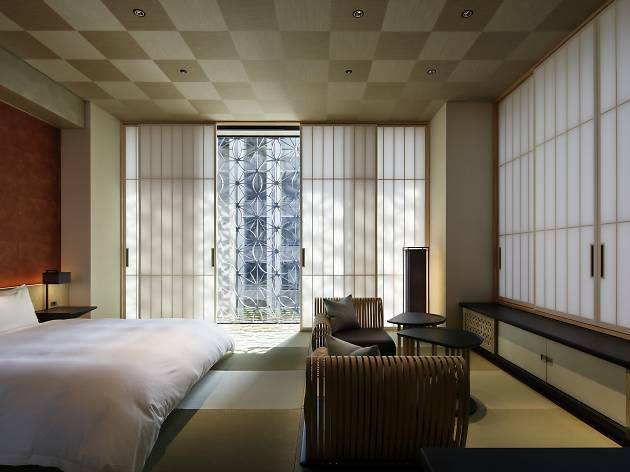 Hoshinoya Tokyo is one of the capital’s very few luxury ryokan – and it’s located in central Otemachi, just a short walk from Tokyo Station and the Imperial Palace. 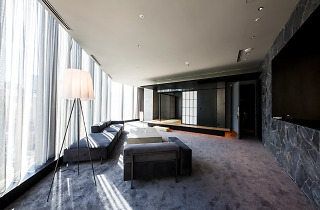 The 19-storey (including two underground floors) building houses tatami- floored suites, as well as a spa and dining space. Don’t miss the rooftop alfresco bath, whose water is fed by the area’s first natural hot spring. Embrace your inner trainspotter at this one-of-a-kind hostel, accessible directly from JR Bakurocho Station. Named after the defunct Hokutosei sleeper train, which operated between Tokyo and Sapporo for 27 years before being retired in 2015, it boasts an interior that faithfully recreates the train’s cabins – think bunk beds, aluminium ladders and dark curtains – made with original materials from the Hokutosei carriages. 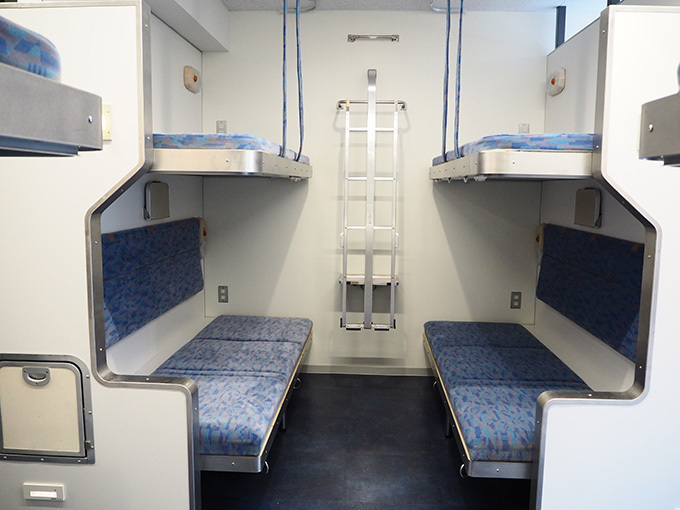 In addition to the usual dorms, they offer semi- private rooms roughly the same size as a regular sleeper train cabin. Prices start from ¥2,500, a bargain compared to the moving Hokutosei’s minimum rate of ¥6,300. From the ubiquitous act of buying ramen through a vending machine to having a mechanical pet, the Japanese have long loved their machines. You can now even stay in the world’s first hotel chain staffed by robots – a claim recognised by Guinness World Records. 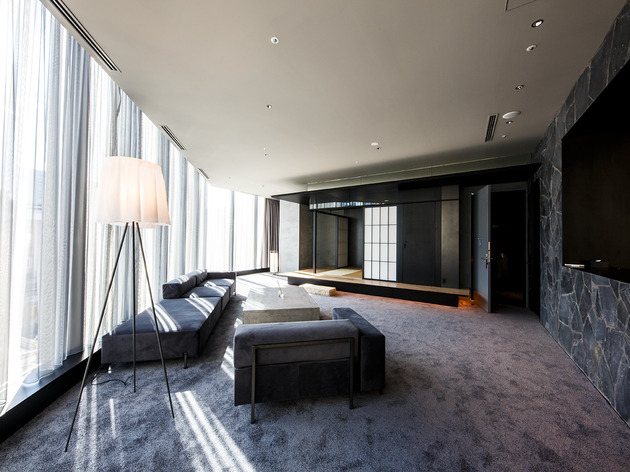 At Henn na Hotel – whose name’s first character means both ‘strange’ and ‘change’ in Japanese – you’ll be welcomed and checked in by androids. There are other robots on duty, and your room comes with the cutting-edge LG Styler, a sort of steam wardrobe that will help freshen your clothes. Can technology replace human hospitality? You be the judge. Can’t get enough of Hello Kitty – Japan’s most iconic cat-girl? 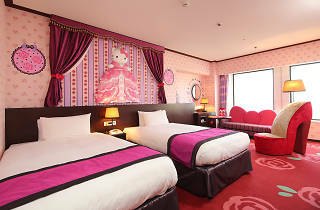 Then you’d want to book a stay at Keio Plaza Hotel Tokyo specifically for its Hello Kitty-themed rooms. 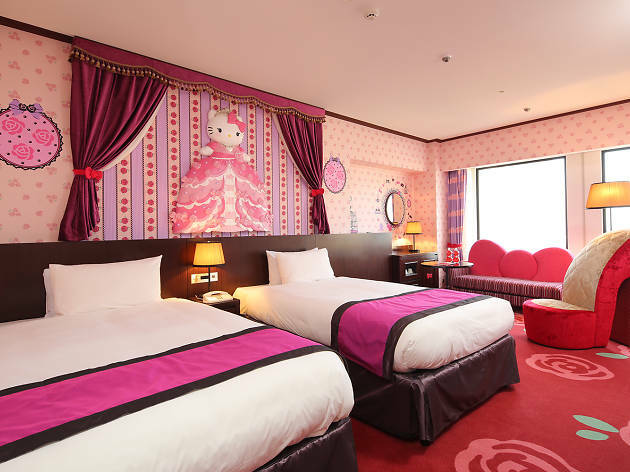 There are eight rooms dedicated to the cute cartoon cat – four Kitty Town rooms (brightly coloured and girly) and four Princess Kitty rooms (more mature interior design, targeted at grown-ups) – and they all feature Hello Kitty furniture and decor. Plus, the rooms are well- stocked with special Hello Kitty merchandise, including skin care sets, pens and original dolls, which you can take home. Want more? You can even kickstart your day with a special order of the Hello Kitty breakfast set, where certain dishes either come in the shape of the cat or imprinted with the cat icon. 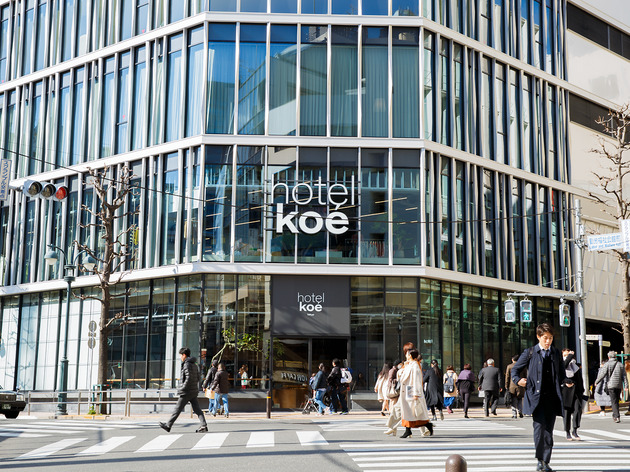 This stunning new glass building is Shibuya, occupies the spot where the shopping mall Parco Part 2 once stood, is both a hotel and store - allowing you to literally shop until you drop. Fashion-lovers can dive into racks of men, women and kids clothing (check out the Thom Browne collab), while those not spending can enjoy the healthy-eating bakery-restaurant, or catch a gig in the live music and DJ space. 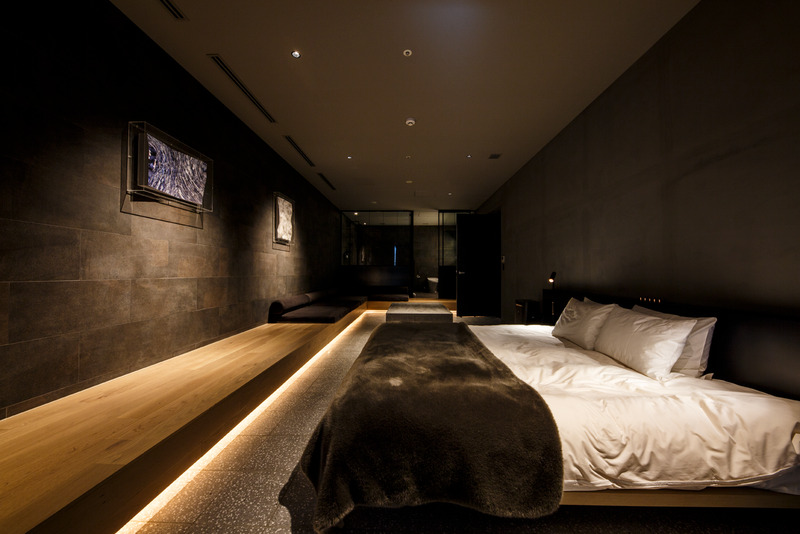 The hotel, located on the third floor, offers 10 rooms that are modern in design, featuring liberal use of warm gray and natural wood tones, geometric lines and proportions, and ambient mood lighting. In addition to housing natural hot spring baths, open-air baths and saunas, this Edo era onsen theme park also does a line in festivals, fortune telling, places to drink and dine, shopping and, yes, overnight accommodation. You might want to consider a night here if you have limited time in Tokyo as you get to experience various Japanese activities all in one place. 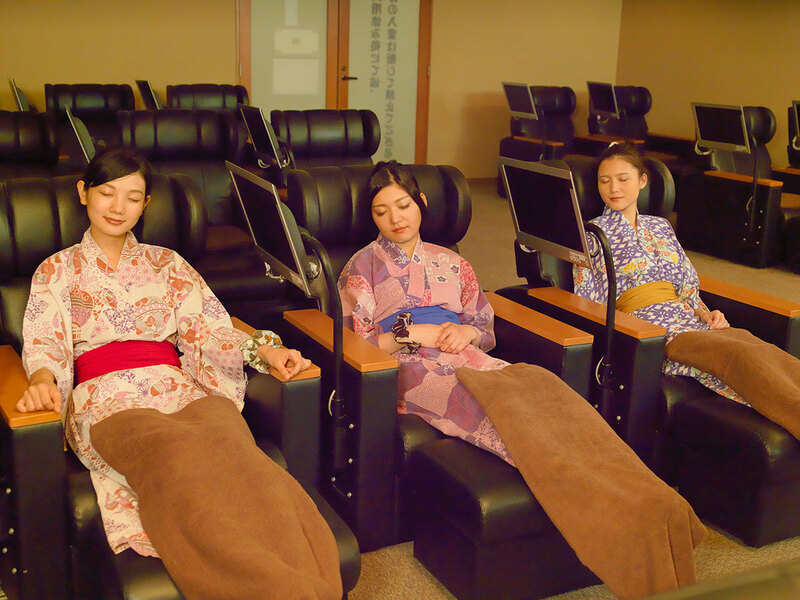 Oedo Onsen Monogatari houses six different type of baths, including one in which you can lie down (‘neyu’) and a lukewarm bath ideal for summer (‘nuruyu’). The water is rich in sodium and chlorine ions, drawn from 1,400m underground, and the thermal baths here are believed to help in relieving nerve, muscle and joint pain. An an overnight stay starts from ¥18,000 for two people, which gives you access to all the facilities; unfortunately, like most bathhouses in Japan, it does not accept people with visible tattoos.